There is nothing as agonizing in all of clinical medicine as a lower back spasm. 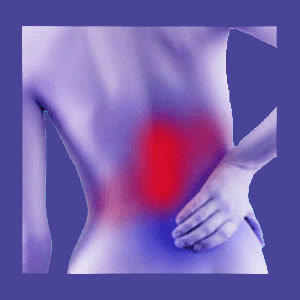 Most patients do not understand what exactly is occurring when their back goes into spasm. They simply are overtaken with the terrible pain associated with postural muscle cramping and are usually forced immediately into bed to wait out the attack. When these flare-ups of muscular spasm are recurrent, the effects on the patient are horrific physically and emotionally, often leaving psychological scars for life even when no actual anatomical damage has been suffered. We have written much about the causes of lumbar spasms on our various web properties over the past 15 years. However, this essay will take a completely new approach to the subject by providing a very simple and easy to follow guide for understanding why spasms exist and how they can be treated. This article provides a fresh perspective on muscular back spasms and cites proprietary scientific evidence that helps to explain why doctors have been so powerless in stopping these spasms from occurring in a large percentage of lumbar dorsopathy patients. What Occurs During Lower Back Spasm? During a lower back spasm, the muscular tissue tenses and locks up, preventing movement and becoming incredibly painful. Any attempt to mobilize the tissue will increase the tension and pain endured. When a patient experiences a muscular spasm in their lower back, they will not be able to move much, if at all, without inciting terrible and debilitating pain. Most will be forced to lie in bed motionless until the cramping passes. This relief can occur in minutes or may not resolve for days at a time. Spasms occur due to a lack of blood flow to an area or due to neuromuscular problems often associated with a variety of disease processes. Either way, the nerve and muscle communication breaks down and the muscle simply locks into its contracted state. This force of contraction stresses the anatomy, putting great strain on the muscle’s antagonistic pair tissue, as well as preventing normal movement that requires a matched pair of tissues to work together to accomplish basic physical feats. What Causes Lower Back Spasm? Spasms occur due to a variety of causative mechanisms: Lower back injury can cause muscles to become inflamed, accumulating fluid and preventing normal circulation of blood flow into the tissue. Spasms can occur as part of a muscular imbalance scenario, when an antagonist pairing of muscles is so in conflict with one another that one half of the pairing goes into spasm. Muscular cramping can also occur due to any type of ischemic syndrome where the normal circulation of blood, and therefore oxygen, is restricted by some causation. 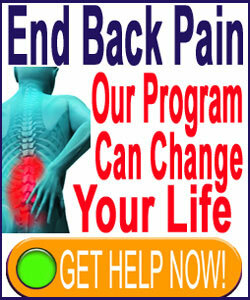 The most logical cause of cramping in a lower back muscle is surely oxygen deprivation. This can be created by inflammation, as noted above, but this scenario is usually known to the patient following injury and will recover within 24 to 48 hours as the swelling organically reduces and allows the circulation to resume normally. In some cases, there is a structural reason for ischemia to occur, including a circulatory vessel problem, a muscular compression issue or the most common direct cause, a mindbody reduction in blood flow that targets specific tissues as a defense mechanism. This latter example is certainly one of the most clinically significant forms of lower back spasm, as the muscle will react violently to the reduction in oxygen supply and will continually react until the syndrome ameliorates. Chronic muscular spasm that are not linked to neuromuscular disease generally fall into the mindbody category of causation and form the basis for Dr. John Sarno’s renowned work with TMS patients. Acute spasms that are caused by injury usually simply require a few hours to pass. Any treatment that reduces inflammation, such as pharmacological products, ice or massage, might help to speed relief. However, in cases of injury, the swelling will usually organically resolve within 24 hours. The application of heat after the end of the inflammatory process will help heal the condition further and prevent re-inflammation when mobilization re-commences. Spasms that are associated with muscular imbalances might require the assistance of a physical therapist or fitness trainer to diagnose and resolve. Although many imbalance diagnoses are not sound, some are accurate and special exercises and stretches can cure most in a matter of a week’s time. Chronic or recurrent spasms are usually the results of a psychogenic process acting to protect the emotional interests of the subconscious mind. This process is the same one that causes common tension headache, a variety of digestive disorders and a large percentage of chronic pain, particularly in the dorsal anatomy. Ischemia is one of the most common health issues in the modern world and seems to affect people virtually universally, with the only differences being the location, duration and severity of symptoms. Doctors like to say this “stress-related” pain will pass if you simply relax, but we find the opposite to be true. Most patients require the application of knowledge therapy to truly end this type of pain and prevent it from recurring. Luckily, the practices used are economical and effective, as well as completely safe and risk-free. If you have been suffering from recurrent muscular back spasm, knowledge therapy should be your first choice of treatment based on its proven track record in many research studies.